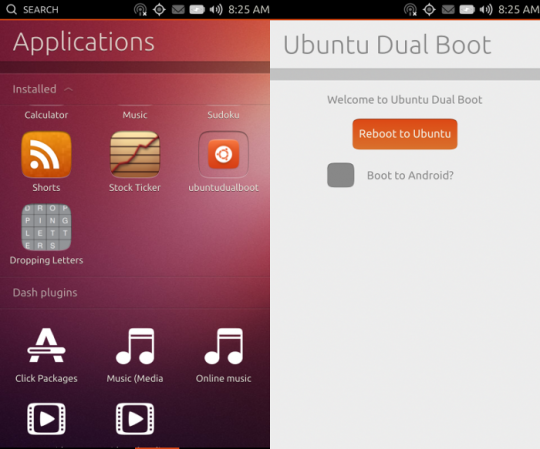 Ubuntu Touch is the first Dual-Booting OS for Android devices. Dual-booting different OSes on a Laptop or Desktop PC is nothing new, we’ve all done that. I used to run Windows and Linux alongside each other before switching completely to Linux. However, Dual-Booting is still a fairly new feature for mobile devices. We haven’t seen many Dual-Booting phones out there but folks behind Ubuntu have come out with a Dual-Booting Ubuntu Touch OS for Android phones. This new mobile OS by Canonical will run alongside Android to give mobile users a taste of Linux on their phones. Ubuntu Touch is now available for Dual-Booting but according to the developers it will only work on Nexus devices (so far tested on Nexus 4 only). It should only be performed by advanced users who are comfortable with the process of Flashing and unlocking bootloaders. If you’re interested in installing Ubuntu Touch alongside Android then head over to Official Wiki for instructions. Update: I tried installing Ubuntu Touch on my Galaxy Nexus and It works flawlessly.